The stage has been set and Elizabeth Warren, aka Pocahontas, is to Run for President. What is going to be really interesting besides her becoming more vocal now for the next two years, will be the revelation of how corrupt she really is. She has bashed the banks and is the closest thing to a full-fledged Marxist in the Democratic Party so will the like of Goldman Sachs fill her purse with money to defeat Trump? We all know about the claim Warren made to get into Harvard Law School back in the 90s claiming she was a Native American. She claimed that she was pointing to “family stories” passed down to her through generations as evidence. Harvard had singled her out claiming she was a leading Native American student. Warren later acknowledged that she had listed herself as a minority in an Association of American Law Schools directory. Warren maintains she never furthered her career by using her heritage to gain advantage. So if there was some involvement 6 to 10 generations prior, it is hard to see why someone would have the audacity to even claim she was Native American. 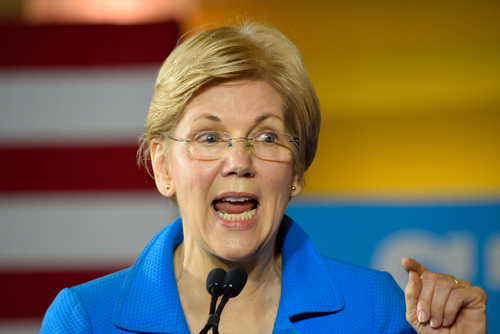 In the process, her release of a DNA test that suggesting such a distant a lineage to a Native American ancestor sparked outrage among real Native Americans who felt she was using such a weak cultural and social ties for political gain. It just seems disingenuous to claim someone who is a blue-eyed blond is Native American with such a distant connection. Sure, in my distant past, on my father’s mother side was married to a German in the late 1600s in New Amsterdam before it became New York City. I probably have as much German in me or more than Warren has Native American going that far back.